Weeds compete with cultivated plants for moisture, food and light. Unfortunately, with few exceptions the weeds always win the competition. That's why weeds need to be kept under control. First lets deal with chemical weed killers. We don't recommend them because they pollute the soil and plants which grow on them. Sometimes however the weed problem is so wide that chemicals are the only solution. We deal with chemicals in the weed identification section of this article (see to left weed menu). Weeds get energy in the same manner as cultivated plants. They absorb the energy of the sun and use it to grow. This process is known as photosynthesis. Without sunlight weeds die. Some die quicker than others but they all die eventually without sunlight. This is why a mulch can be used with great effect. A mulch is a layer of material that is placed on top of the soil. 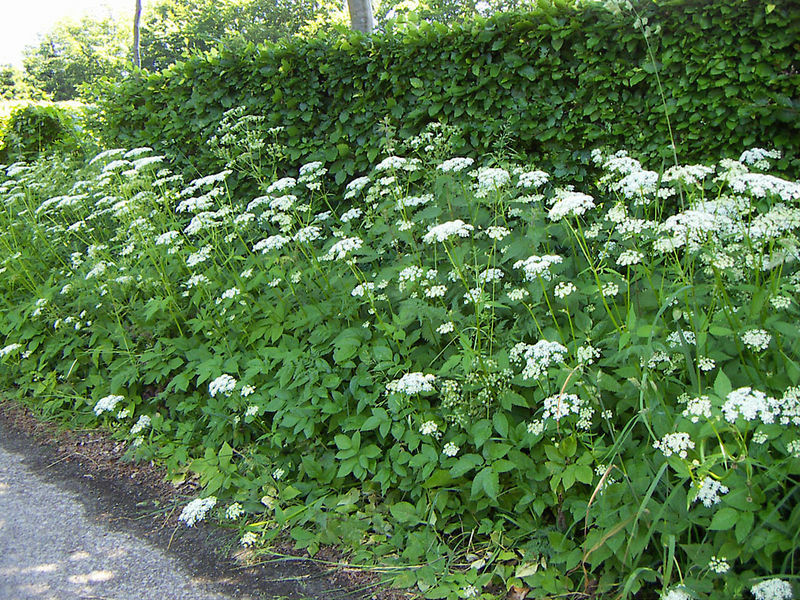 It is either strong enough to prevent weeds passing through it (e.g. black plastic) or provides a barrier that is thick enough to make it very difficult for weeds to grow through it (e.g. chipped bark). Click here for more information on weed control using mulches. There are many areas in a garden or allotment where mulch it is not an acceptable solution. In these areas weeding is the only solution. The first common situation is where an entire garden or allotment needs to be cleared prior to planting. The second situation is where a garden or allotment is planted and mulching between plants is not convenient. Click here for more details on how to clear a whole garden or allotment. Where you are weeding on ground that has plants on it then two methods of weeding should be used. Your first method is to use a hoe to control the majority of weeds. Investing in a hoe, which may well last a lifetime, will let you clear weeds much quicker and more effectively compared to hand weeding. Click here for more details on hoes and how to use them. Hand weeding is the only method that can be used where the weeds are near the plant and using a hoe could damage the plants or their roots. The aim of hand weeding is to pull up the the entire weed, including the roots. It's best done when the soil is moist because this will make removing the roots much easier. The basic idea is to gently hold the visible part of the weed as near to ground level as possible and tease the roots out of the ground. Some weeds, such as dandelions have very long tap roots and it is often impossible to pull up the entire root. But try and get as much as possible and you will have seriously weakened the weed. Repetition of this as the weed reappears will eventually kill it. Click here if you want help on identifying weeds and specific methods of controlling them.